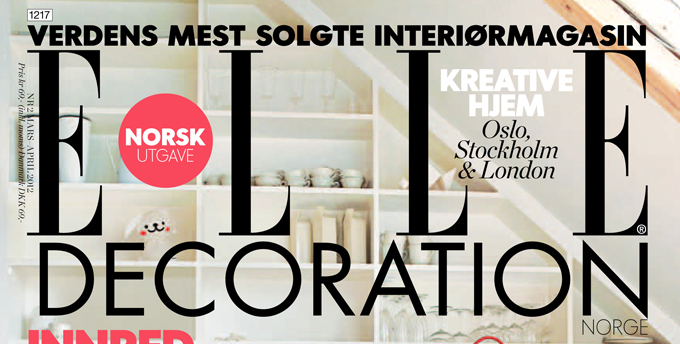 The latest piece of international press coverage for the Alabasta range for Åry Trays comes from the Norwegian edition of Elle Decoration magazine. The white version of the 38cm Folk Stripe tray is featured alongside products from Scandinavian companies such as Ferm Living and Verner Panton. 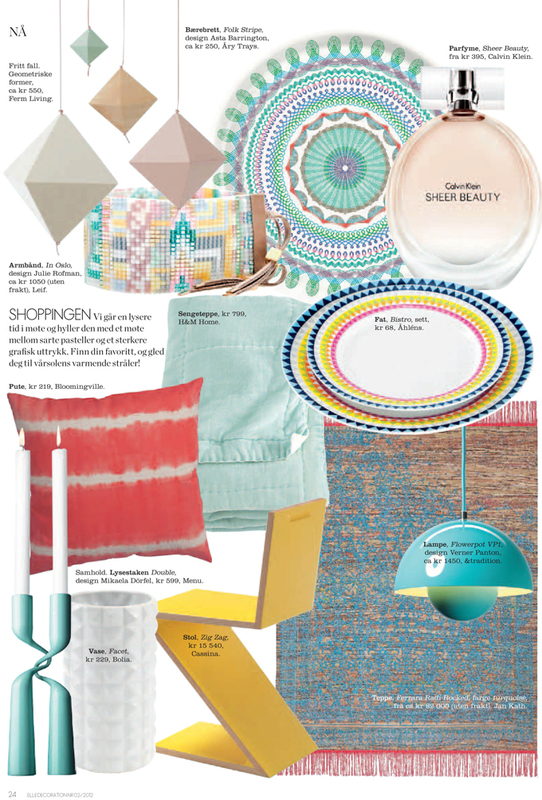 They demonstrate the new trend for geometric patterned/shaped home wares in lighter brighter colours and I particularly like the coherence of the products on this page. Seen from a distance or in print the tray looks quite pastel but in reality the colours are actually quite strong and vivid. "Shopping: We are going towards brighter days - celebrate with a combination of delicate pastels and a stronger graphical expression. Find your favourite and enjoy the Spring sun's warming rays!" Mange takk, Elle Deco Norge! For some of the retail stockists see the sidebar on the right or for wholesale enquiries contact Isabel Saiz, exclusive UK agent for Åry Trays.